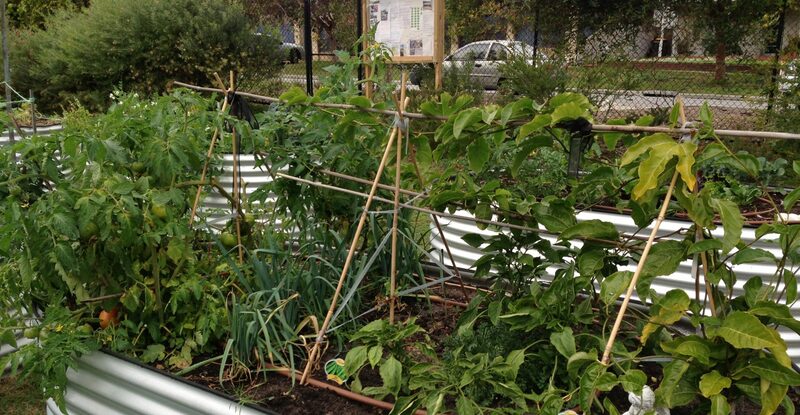 St Lukes Community Garden – A beautiful garden in Mosman Park, for all to share, an orchard, a communal herb garden and raised beds for those who have a little more time. St Luke’s Community Garden has been designed as a demonstration site for organic, sustainable, urban living. It provides a unique place for community gatherings and a quiet sanctuary for those wishing to grow vegetables or simply enjoy the verdant space. St Luke’s Community Garden includes 27 raised beds that are allocated to local people to grow a variety of vegetable and flowers for themselves and their family. The rest of the garden has been planted out with a selection of native plants, a small orchard, a communal herb garden and seasonal crops. These sections are for all garden members and visitors to enjoy. Our members have a wealth of knowledge on vegetable growing, companion planting, organic practices, composting, soil improvement and native plants. Busy bees, informative talks and social events are regularly held in the garden. We would love to hear from you if you are interested in joining or just visiting. a catalyst to act locally and think globally.